The next actor who’ll be joining us for an interview is Im Jung-eun. Im’s most recent project was the Chosun TV drama Babel where she played the character Na Young-eun. Beanies may also remember her from her earlier works, Equator Man and Joseon X-Files. If you have any questions for Im Jung-eun, leave them in the comments! We’ll select some of the most interesting questions and include them in our interview. Deadline: We will cut off accepting questions on April 22. What was your journey like to becoming an actress? What was it like to work with the amazing cigar man Kim Kap-soo? 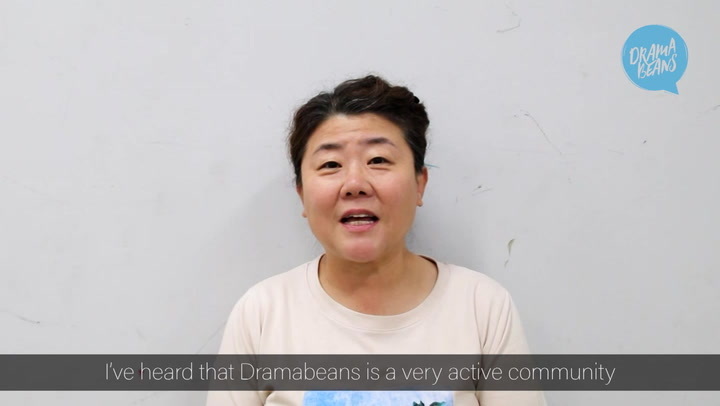 What do you think it is about Korean dramas that resonates with fans from around the world and all walks of life? What do you do in the breaks between filming scenes? What is your requirement on how you chose your projects? What drama or movie genre would you like to tackle in the future? I enjoyed Babel and didn't expect Na Young-Eun would have such tragic end. She was interesting character (You played well). How was working with Kim Hae-sook? You didn't do dramas (and films) for a few years until you did Babel this year. Was there any reason? How did you land the role in Babel? How was the set atmosphere? Do you plan to do more projects this year - I hope so? In 2012 you played the role of Choi Soo-mi in Equator Man. She was such an intriguing character because she was daring and she did some questionable things, all while desperately wanting the affection of one of the people she was threatening. If you were playing this particular role today, in 2019, would you approach it the same way and play the role of Choi Soo-mi differently? Why or why not?